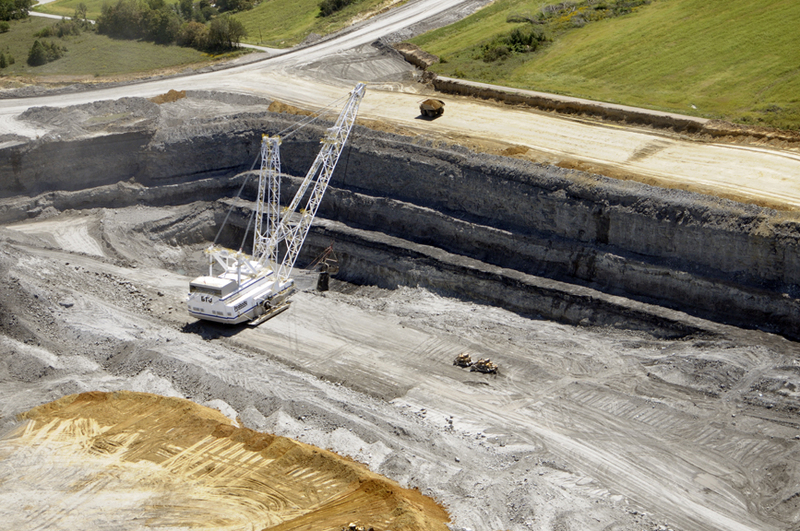 Will Indiana taxpayers be left holding the bag for Peabody Energy’s irresponsibility? March 16, 2016 – by John Blair, valleywatch.net editor. It should be noted that Valley Watch has oft challenged Peabody Energy and is proud to say that we took them on and won an important eight year battle to kill their proposed 1500 megawatt Thoroughbred Power plant in Muhlenberg County, KY.
Peabody Energy who used to proudly proclaim to be the “world’s largest privately owned coal company,” is definitely on the verge of bankruptcy. Today, the company which has seen its stock prices fall significantly over the past year, told investors that it failed to meet its financial obligations to pay $71 million interest on its debt which were due today. The stock market responded today on the news with Peabody’s already failing stock collapsing nearly 46% at this writing to a mere $2.15/share. That leaves a total Market Capitalization of for the distressed company of only $39.9 Million. This all comes after a horrible year for the beleaguered company which already saw a “reverse stock split” which shareholders had to forfeit 15 shares for a new single share in the fourth quarter of 2015. This is bad news for Indiana since the Indiana Department of Natural Resources has routinely allowed Peabody to “self bond” on the set aside money for reclamation work required by the Federal Government strip mine law passed in 1977 that calls for coal mined land to be restored to its approximate “original contour.” Currently IDNR records indicate that Peabody is supposed to maintain $163 million in bonds to cover closure costs for its six Indiana mines, all in southwest Indiana, including the largest strip mine east of the Mississippi River called Bear Run near Carlisle. Huge mining machines called draglines are used to scoop up more than 150 cubic yards of earth with each pass at the Peabody Bear Run mine near Carlisle, IN. Strip mining is one of the most destructive things that man has done to the earth. Now, with Peabody’s almost certain bankruptcy, it is questionable that Peabody will be able to meets its liabilities to the State of Indiana to restore the land at six Indiana mines. Should that happen, will Hoosier taxpayers be on the hook for cleaning up Peabody’s horrible mess. Photo © 2010 John Blair. That $163 million is more than three times the current total market capitalization of the entire company. The Chicago based, Environmental Law and Policy Center has challenged IDNR on its continued use of self bonding, insisting that Hoosier taxpayers should receive a modicum of protection and not be left holding the bag for Peabody’s serious indiscretions. Peabody went public in 2004 and saw its original offering of $27.share rise rapidly to $81 and higher during its heyday. But, as the coal industry in total has gone from bad to worse in recent years, the stock is nearly without value. This entry was posted in Uncategorized and tagged bankruptcy, Bear Run, Coal, Indiana, Peabody Energy, Valley Watch. Bookmark the permalink. 1 Response to Will Indiana taxpayers be left holding the bag for Peabody Energy’s irresponsibility?